Lord Nigel Montgomery Shepard, Esq. is assuming direct control... of your heart. 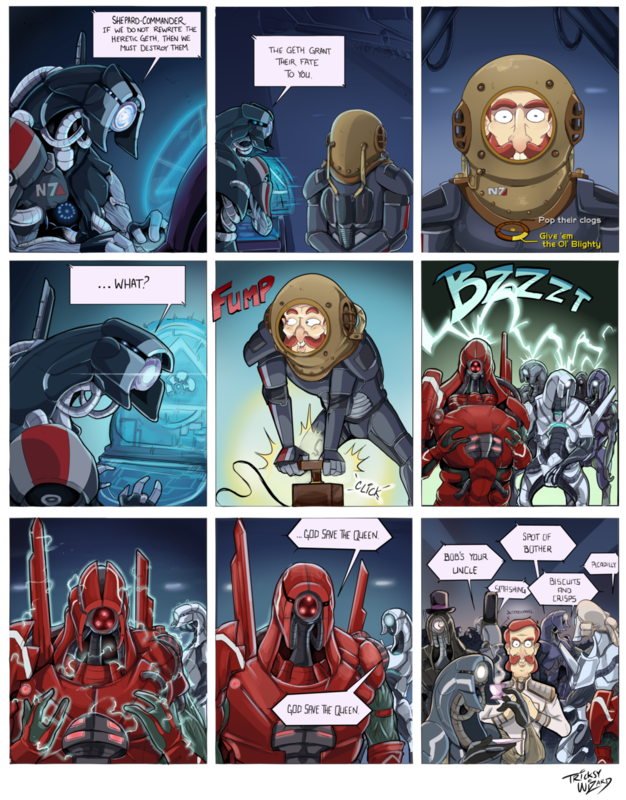 With the geth, it's ALWAYS an open relationship.